Make this Southwestern-inspired quilt using strips! Instructions provided for three sizes: Wall, Throw, and Queen. 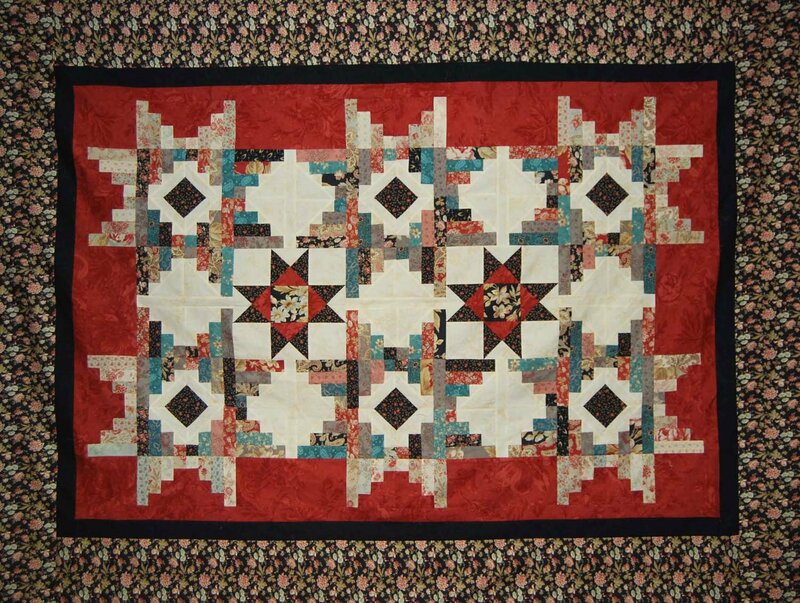 One of our early Mystery Quilts, this one is made with lots of strips, so it's great for using up scraps. Our step-by-step instructions make the quilt much easier to tackle than you might think! Part of the advantage of our mystery patterns is that you get guidance for choosing your fabrics. We know that fabric choice can be the most difficult part of making a quilt for some people, so we try to help you along. The instructions are included for three sizes: Wall, Throw, and Queen. Click here for yardage information and information on fabric selection.